CAMPBELL, Calif. – June 19, 2018 – Dasher Technologies today announced it was named U.S. Solution Provider of the Year by Hewlett Packard Enterprise (HPE). Dasher has been recognized as an HPE Partner of the Year for its dependable client satisfaction and transformative IT design. For nearly 20 years, HPE and Dasher have built a strategic partnership to deliver value, expertise and trusted solutions to clients. In 2018, Dasher became the fifth largest HPE reseller in North America and has achieved Platinum Partner status for more than five consecutive years. Dasher’s strong technical expertise and longstanding partnerships support its knowledgeable integration of best-of-breed software, hardware and services into a custom solution for organizations. HPE is dedicated to fostering essential partnerships that create innovative and collaborative solutions for every client. 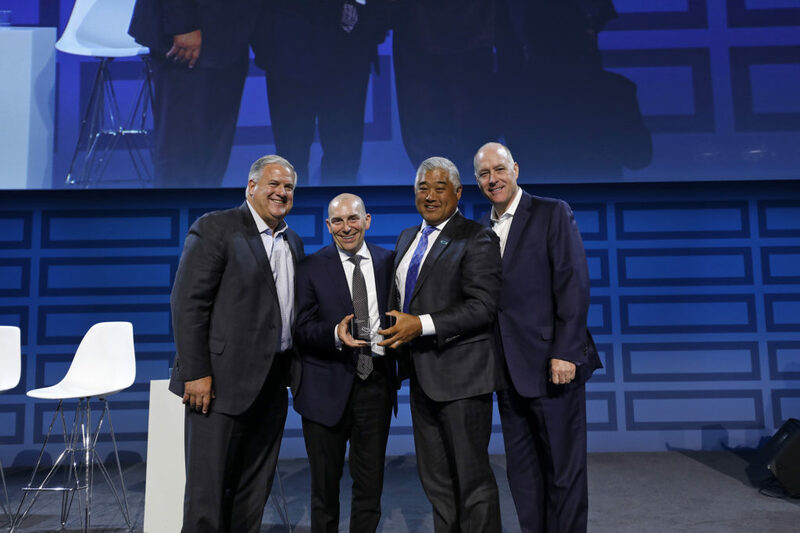 Hewlett Packard Enterprise (HPE) announced winners of the 2018 HPE Partner of the Year Awards at its annual Global Partner Summit in Las Vegas. Winners were recognized for outstanding performance and accomplishments, and for driving meaningful business results for shared customers. Dasher Technologies president Al Chien and CTO Chris Saso accept an HPE 2018 Partner of the Year award in Las Vegas.